Automobile fires generally occur when a car crashes, overturns, maintains or refuels a car. Automobile fires occur when the fuel is ignited by an open fire. At this point the driver should pay attention to the following points: immediately cut off the fuel source; shut off the fuel tank switch or take away the fuel on the car; turn off the ignition switch immediately try to leave the cab, because the cab is combustible. If the cab door cannot be opened, detach from the windshield. When the fire is close to you and you cannot avoid it, use your body to slam the flame out of the way. When rushing out, care should be taken to protect the exposed skin. Do not open your mouth to breathe or shout loudly so that fireworks will not burn the upper respiratory tract. 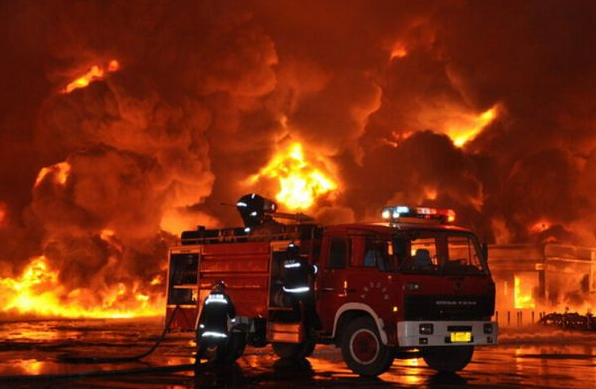 Fabrics of chemical fiber products such as tritium, nylon and vinylon are flammable. Do not wear clothes made of these fabrics close to the source of fire and should be removed as soon as possible to prevent burns. If the vehicle is on fire, do not use water to douse or beat the fire, but use sand to extinguish it or cover it with a quilt or shroud. If a fire occurs during maintenance or refuelling, drive the burning vehicle away from the oil depot quickly. If the high pressure line causes a fire, cut off the power supply promptly. If several vehicles together or on the road cause a fire, other vehicles should be quickly evacuated or driven away from dangerous and densely populated areas before attempting to extinguish the fire. Most residential buildings constructed in China have balconies, some also have front andback balconies. The role of balconies, summer for people to cool off the heat, winter can be bathed in sunlight ; Early in the morning can breathe fresh air, leisure time can also be overlooking the column; the style of novel, chic balcony, but also to embellish and beautify the appearance of buildings. Flower lovers on the balcony plant a few pottedflowers, but also for the building with some "beauty." In fact, the role of the balcony is more than that, it also has a close relationship with the fire. As far as fire prevention is concerned, when a fire breaks out in a room located on the ground floor below, and when doors, stairs or aisles are blocked by smoke and fire and people are trapped in their rooms, people are expected to get out of danger by climbing the downspout at the edge of the balcony. If you are close to the neighbor's balcony, you can escape to the neighbor's balcony with the help of planks or bamboo poles. When strong ropes can be found, they can be fastened to the balcony and lowered; even if they are unable to escape, those who escape to the balcony can gain some time to wait for the fire crews to come to their rescue. When a fire broke out at the Joyoma Building in Sao Paulo, Brazil, 41 people were rescued by fire crews using ladder trucks because they were hiding on balconies or canopies. Viewed from the aspect of fire fighting, balcony is not only a "trench" for fire fighters to attack the burning area of the building, but also an important channel for saving livesand evacuating materials. Fire personnel use the balcony as a cover, both easy to attackand easy to retreat, but also easy to climb the fire engine extended to the balcony for fire fighting and life-saving. Of course, from the current situation of people using balconies, there are some drawbacks to fire protection, this is mainly, people living in buildings, and some are also affected by the old concept of "broken homes worth a thousand straws," Will have broken things at home, still used to put on the balcony, so that the balcony has become the family's "waste materials warehouse", In this way, in the event of an external flare (such asa lit firecracker, cigarette butts, matchsticks or other radiant heat sources thrown down from the upper floor, etc. 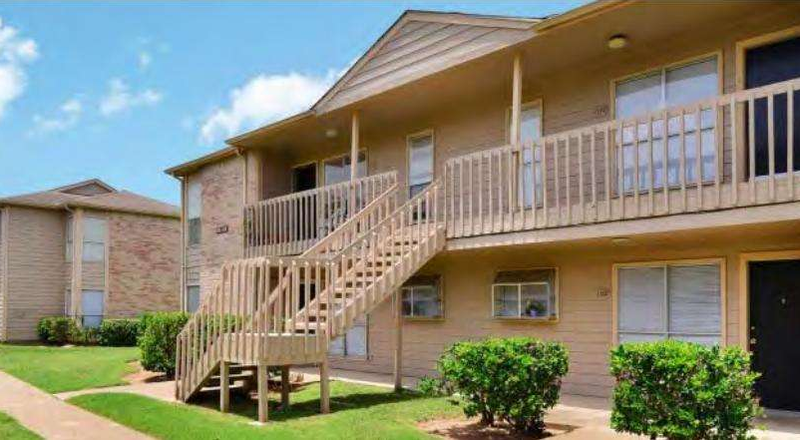 ), combustibles placed on the balcony may be ignited, which in turn may cause a fire and threaten the safety of the indoor and neighborhood. Some families in order to prevent theft, but also ingenuity with steel will be all coveredby the sun. This is from the perspective of burglar is advantageous, but from the perspective of fire is disadvantageous. In the event of a fire, people living in houses coveredwith steel bars would not be able to escape; fire crews' life-saving operations would also be affected. 1.Crouch as low as possible and use the remaining oxygen to escape the fire. 2.As far as possible to escape to the ground, if the stairs have been blocked by fire, the use of ropes or sheets connected from the window sliding down the ground to escape. 3.Walk along the wall in case of fire, never use the elevator if there are stairs. 4.When you run away with a child, you can use the sheets to tie the child to your back or hold the child to your chest. 5.If there are many people crowded on the main escape route, you should find anotherway to escape. 6.Women who wear high heels should immediately take off or change shoes, in order to avoid falling on the way to escape, delayed the opportunity to escape. 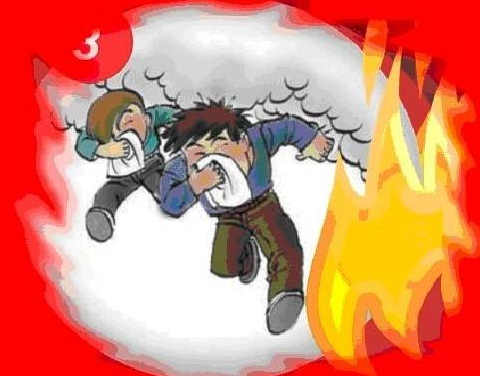 7.In case of fire, do not hide in the corner or under the bed for temporary safety, as this may cause a fire. Cover your mouth and nose with a wet towel and try to find a way out as soon as possible. First, the first fire is the most easily extinguished before the fire engine, such as focus on rescue, often can be saved from danger, turn a corner. Second, call the police early, the earlier the alarm, the less damage. Remember the "119" fire phone. Third, to first fire, after the removal of property, a moment delay, prone to catastrophe.Fire, it is not appropriate to first rescue property, easy to choke choke to death or losethe opportunity to escape. Fourth, calm and strict order, in order to safely retreat in the fire. If scrambling, crowding each other, blocking the passage, leading to self-trampling, will cause undue tragedy. Fifth, the downstairs passage was sealed by fire, to escape the road, quilt single, tablecloth torn into cloth, form a rope, fasten the sill, and then use the corner of clothing toprotect the palm, down the rope slide. If there is a fire in the adjoining room, do not open the door, jump into the balcony of the window and shout for help or get out of danger by previous means. When the smoke is thick, do not be alarmed, it is better to crawl on your knees and elbows, for the fresh air often remains near you. When it is necessary to go upstairs, one must hold one's breath as the smoke rises at a rate of 3 to 5 metres per second, while people go upstairs at a rate of 3 to 5 metres per second and people go upstairs at a rate of 0.5 metres per second. 8. Cover your mouth and nose with a wet towel when you run away. You can also cover your mouth and nose with water from a vase, kettle, goldfish bowl, wet clothes, cloth and so on. When you take the baby away, you can cover his face with a damp cloth,hold him in one hand, and grab him with one hand. Tension must be placed on the door of the burning room before fleeing, especially in buildings and hotels with a large number of occupants, so that flames and smoke are confined to one room and do not spread quickly enough to buy precious time for themselves and others. When a fire breaks out, students must keep calm and do what they can. The initial stage of a fire, usually a very small fire, does not burn a large area and does not generatemuch heat. At this time, as long as readily covered with sand, dry soil, soaked towels, quilts, sacks and so on, can make the initial fire extinguished. If the fire is hot, burningor likely to spread, do not attempt to fight, should immediately escape the fire, call 119 fire alarm, notify the fire brigade fire. 1.bear in mind the fire call 119. Where there is no telephone or fire brigade, such as rural and remote areas, you can ring the gong, whistle, shout, call the police to the surrounding areas, mobilize rural neighbors together to put out the fire. 2.when the alarm to clear the unit on fire, where the district (county), streets, alleys, doors or rural areas. 3.Explain what is on fire and what is the fire like. 4.State the name, telephone number and address of the caller. 5.the police should be arranged to wait for the junction of fire engines, fire engines to guide the road to the fire. 6.in the event of a fire, do not look around. Some students out of curiosity, like to look around the fire engine, which is not conducive to the work of firefighters, but also detrimental to the safety of students. 7.Do not make random fire calls. False reporting of a fire alarm is an offence against public order and public safety. If a person is found to have made a false fire alarm, stop it. In order to protect the legitimate rights and interests of young people and the safety oftheir lives, the State has expressly prohibited schools, organs and other social organizations from organizing primary and middle school students to take part in fire fighting. The students are in the period of growth and development. They do not have the thinking and physical strength of adults. They generally lack the ability and experience of self-protection. In case of emergency, they are often mishandled and casualty accidents occur. Therefore, for the vast number of teenage friends, if a fire is found, the most important thing is to get out of danger as soon as possible and evacuate the fire site. This will not only ensure their own safety, but also provide adults with the convenience of putting out the fire so that they can concentrate on putting it out. In this sense, protecting their own safety is also contributing to the fire fighting work. Find a fire at home, do not delay, to local materials, in time to put out. 1.liquefied petroleum gas leakage due to fire, towel or rag can be wet cover the fire, while quickly closing the valve. 2.if the oil pot on fire, do not use water to fight, let alone directly to the end of the pot. Should immediately pick up the lid to cover the oil pot or cut the vegetables into the pot, the pot of oil and water isolated from the air will be extinguished. 3.household appliances on fire, to immediately pull the power off, or unplug, and then cover with a blanket or wet cotton cover. Remember not to use water, because water conductive, easy to cause electric shock injury. 1.notify other neighbors or passers-by and request a save. 2.Call the police on the fire alarm. 3.Assist adults to do some auxiliary fire fighting work, such as guiding fire engines, carrying water and sand, etc., but do not directly participate in fire fighting. 1.Water is the most practical and simple extinguishing agent in the home. It can be used to extinguish paper, wood or cloth fires. However, if electrical appliances, gasoline, alcohol, cooking oil fires, do not use water to fight. 2.Sand, drenched quilts, sacks and brooms, mops, clothes, shovels and pickaxes can alsobe used as fire extinguishers. The key is to be quick and not give the fire a chance to spread. 3.dry powder fire extinguisher: suitable for fighting oil, combustible gas and electrical equipment fire. 4.foam fire extinguisher: suitable for fighting all kinds of flammable liquid and solid substances fire. Even small fires can spread smells far away, especially from chemicals such as plastics, foams and sponges that are now common. If you look at a large number of fatal fires, you can smell them burning before they happen, but often no one is aware of them. On February 14, 1993, a huge fire broke out in the Linxi Department Store in Tangshan City. The fire started from a mattress pile on the first floor of the mall, but no one informed the shop assistants and customers on the second and third floors. When people on the second and third floors found the fire downstairs, the escape exits were blocked by thick smoke and 80 people were killed in the fire. 'At first it smelled of burnt plastic, it smelled bad, but I didn't really care, ' said one of the escapees, recalling the scene. ' I didn't know there was a fire until I saw the smoke coming up and ran to see what was going on. ' Therefore, the sudden smell of burning things paste, should be alerted, this paste is often plastic, sponge and other chemical products burning taste, quite pungent unpleasant smell, toxic. The story of the wolf has been told by many people since childhood, and this sad story is still repeated today. Everyone thinks they will escape if they hear the word "fire", which is often not the case. For example, a group of people together always like to talk and laugh, or colleagues in the unit often play tricks on each other, once someone calls it "fire",It is not uncommon for people not to believe, or even to think, that the "believer" is an idiot. In a stressful job, in a tired sleep, in an exuberant party, when they suddenly hear "Fire! ", many enemies do not want to believe. 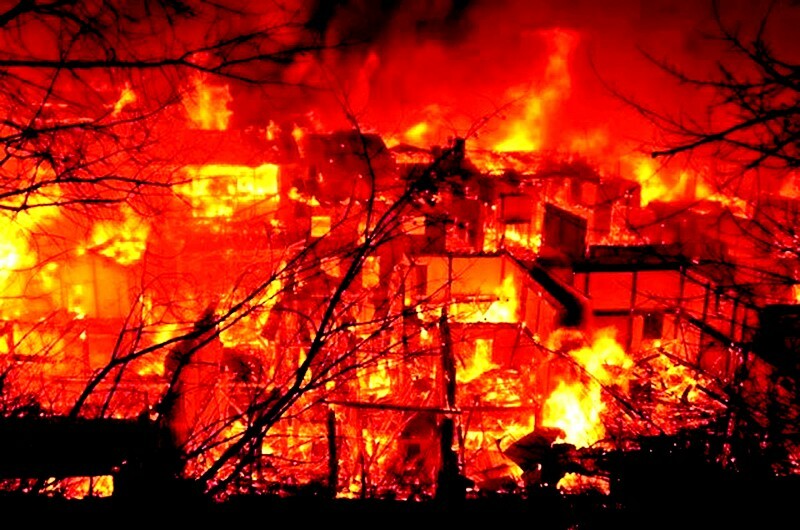 In November 19B, 1993, a fire broke out in Shenzhen Chihli Toy Factory. The fire was not very strong at first. The workers were working nervously in the workshop. There was someone called "Fire!" outside. Most people did not react at first, and some people blamed: " Who is making a fuss again? It was not until an open fire finally appeared that the workshop knew that there was a fire, which eventually claimed the lives of 81 people. Seeing the smoke: Still confused, "Where did it come from?" Smoke is the most obvious sign of a fire and the sight of smoke means it can be very dangerous, but not everyone can think of a fire when they see it, but they are puzzled: how come there is so much smoke? August 26, 1998, a huge fire broke out in Changzhou City Hospital. Many people in the hospital at the beginning of the fire were seen smoking, but not evacuated in time. Most of the people did not know what had happened, and the slightly alert men ran to see what had happened. Some nurses simply shut the door, thinking it was all right to keep the smoke out of the door, and continued to administer injections to the patients until it was discovered that a fire had broken out, and 14 people died in the fire. When afirebreaks out, the smell of something burning is the most common sign. If there is a power outage at the same time, or hear the sound of broken glass, or someone called "fire" two or three signs appear together, then there must have been afirealarm, it should be rushed to escape. If we do not know how to detect danger in time, it may lead to the fate of being consumed by thefiredevil. What to do if a fire breaks out in a moving vehicle? The correct and effective method is: first of all to calm down, not panic, as soon as possible to stop the vehicle at the roadside in a more spacious area, and then take out the fire extinguishing equipment to carry out rescue.